In the SEC filing following its first quarter 2016 financial results and the announcement of its new Model 3 production plan, Tesla listed some of the key assumptions on which its ambitious plan is based. There are a lot of things that needs to come together for Tesla to deliver its anticipated $35,000 long-range all-electric sedan, and the company is making sure that investors are aware of the risks. The plan relies on Tesla’s ability to bring online the Gigafactory and start production of li-ion battery cells and not just energy storage battery packs like it’s currently manufacturing. While it’s not a done deal, Tesla’s partner Panasonic is extremely experienced in battery cell production and it will be very useful to make it happen. We recently reported that Panasonic doubled its investment in the Tesla Gigafactory during the last quarter. The other key assumptions on which the build plan is based mainly revolve around Tesla being able to attract top manufacturing talent, something Tesla CEO Elon Musk is expected to make announcement about very soon, and successfully managing its supplier, parts and assembly line programs. that we will be able to attract, recruit, hire and train skilled employees, including employees on the production line , to operate our planned high volume Model 3 production facilities at the Tesla Factory and the Gigafactory. 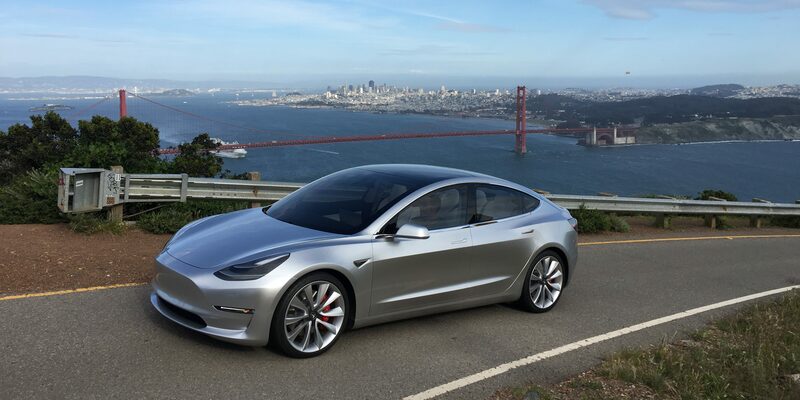 Tesla plans to finalize the design of the Model 3 by the end of next month. Bringing the vehicle to market in volume production in less than 18 months after finalizing the design would an impressive accomplishment. Whether or not Tesla can do it, it will be an interesting vehicle program to follow.